A little while back Warriors 4 Wildlife approached me about the possibility of selling some of my artwork on their website. I was actually aware of the work that they do and had been thinking of some ways in which I might be able to support them so this came at a really good time. 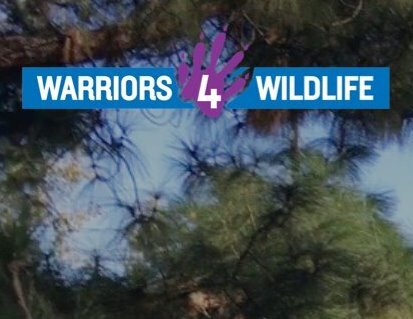 So who are Warriors 4 Wildlife? Warriors 4 Wildlife is a not-for-profit organisation that rescues and rehabilitates injured or orphaned wildlife and releases them back into their natural habitat. The shelter also takes in small domestic animals, reunites them with their owners or helps them find new homes. Located in Bayswater, just a short drive east of Melbourne, Warriors 4 Wildlife was founded in September 2015 by Carla Penn and Natalie Thomson. We are a self-funded, not-for-profit organisation dedicated to providing a safe and comfortable haven to ensure all native Australian wildlife have the best chance at survival. They will initially be selling my Iconic Australians greeting cards and a portion of each sale will support the fine work that they do.